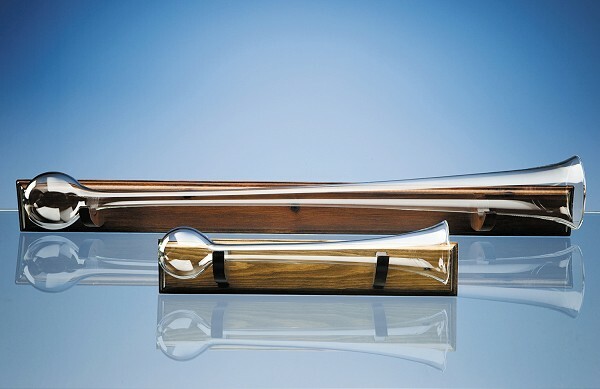 The traditional Yard or Half Yard of Ale is an ideal retirement or birthday gift to get somebody to try and down in one. More difficult than it looks ! It can be personalised with any crest, logo or wording to create a gift that is sure to take pride of place when put on display at home or at work. Optional wood holder that can be fastened to the wall.